We’ve all heard this mantra before. It generally rings true, especially if you’re looking to build multi-million-dollar wealth. So it only makes sense that you should keep your hobbies outside the office, right? Here’s the thing; some hobbies can actually become your business. Owning a wine business, for example, gives wine lovers a chance to generate cash flow from their passion. 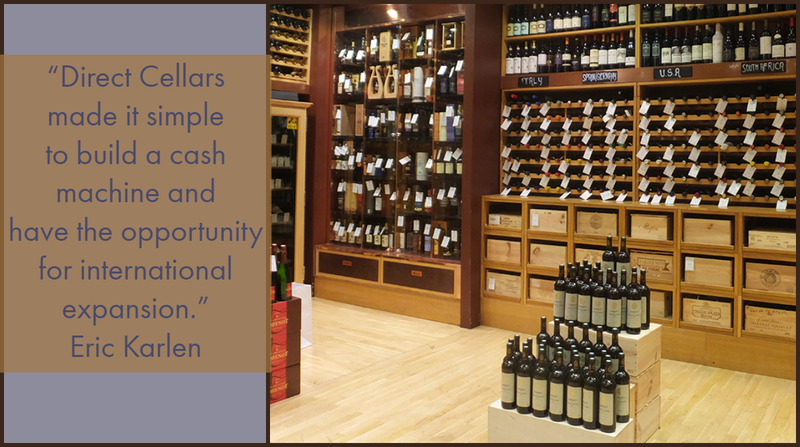 Thanks to companies like Direct Cellars, you can use a wine club to build a steady stream of residual income. Direct Cellars is a “wine of the month” club turned direct wine seller and network marketing machine. This company, and other wine businesses, present the unique opportunity to build income, assets, and get tax deductions through something you may very well love. And even if you’re not necessarily a wine lover, getting into the wine industry is an excellent window of opportunity to add an extra, lucrative income stream to your wealth building strategy along with massive tax write-offs. 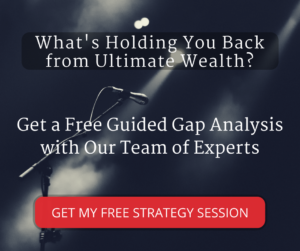 In order to build additional cash flow and revenue channels that successfully fit into your wealth strategy, your first step is to schedule a free, guided Gap Analysis strategy session with an investing and wealth-building expert from our team. During this session, you will discuss strategy, diagnose your financial situation, and identify the best wealth-building opportunities for you to start generating seven-figure revenue. Learning how to build wealth through investing is crucial. To kickstart your journey, we’re going to go over the top 3 reasons and hidden benefits of one our favorite investment opportunities; wine. Let’s face it, tax season is a drag for high-income earners. The wealthy are the highest taxed people in the world. Anyone making more than $75,000 per year can consider themselves in the upper 25% of tax brackets. As you continue to build your wealth, it is critical that you take advantage of every possible deduction you can get your hands on. Owning a wine business could remove at least one of your headaches come tax season. You can earn extra deductions by putting an LLC or S Corp around your wine business. Also, investing in wine allows you to write off any wine-related activities. From wine tastings in South Africa to winery tours in Argentina, you can get a full tax write-off for even the most extravagant of trips. Residual income is a millionaire’s best friend. You might think that owning a wine business requires a lot of time and resources; however, with companies like Direct Cellars, you can build up your residual income without ever leaving your house. These network marketing clubs allow you to build steady cash flow while putting in whatever time and effort you deem fit. You can earn well over $10,000 per month by operating as a home-based business. Simply reach out to prospects via phone, email or social media and watch your revenue pour in. It’s a time efficient business that allows you to focus on your main income drivers. Plus, wine is an easy product to market no matter your location. You don’t have to be a connoisseur to get ultra-wealthy off wine. Plenty of businesses offer lucrative compensation packages and generous pay structures. Direct Cellars, for example, offers a 50% upfront bonus for affiliates. When you enroll into their plan, you get an immediate $125 or $250 for each person you sign up. Moreover, part of that volume goes into a binary compensation plan. You also earn a check match on their first four levels. Revenue gains come fast – and you can easily earn over thousands in your first month. Financial opportunities are available to everyone in the wine business, whether you’re looking to build a modest cash flow or aggressively pursue seven figures. Wine doesn’t have to be just a hobby. The tax benefits, residual income and lucrative compensation are great reasons to mix business with pleasure. You can write off the very thing you love while streamlining your way to huge financial gains. And even for those who don’t drink wine, remember this; millions of people in the world do, so this presents a ninja business opportunity for you.